…it’s usually a good thing! Immune cells normally protect our bodies from foreign objects or marauding bacteria. Sometimes, this finely tuned protective machinery can go haywire. An example of this is the disease Multiple Sclerosis. Multiple Sclerosis (MS) is thought to be caused by confusion of a person’s immune system. Their immune cells mistakenly attack the protective coating of their nerves (myelin) and progressively strip it away leaving the nerves vulnerable and exposed. When someone has MS they often come to their doctor with symptoms of neurological dysfunction that can vary widely depending on what nerves have been damaged. They could have trouble walking or have a tingling pins and needles feeling in their arm. Unfortunately, there is currently no cure and most remedies are not effective in alleviating the progression of the disease. A new phase one clinical trial may provide some hope. A phase one clinical trial is a first effort to test whether a particular treatment can safely be given to patients and determine what the potential side effects may be. At this point the treatment has already had preliminary testing to determine the basic range of safe dosage. To treat MS, researchers wanted to retrain the immune system to recognize myelin as “self” instead of an invader so it will stop attacking the nerve sheath. For this treatment, an MS patient’s blood is extracted and particular cells (peripheral blood mononuclear cells) are filtered out. 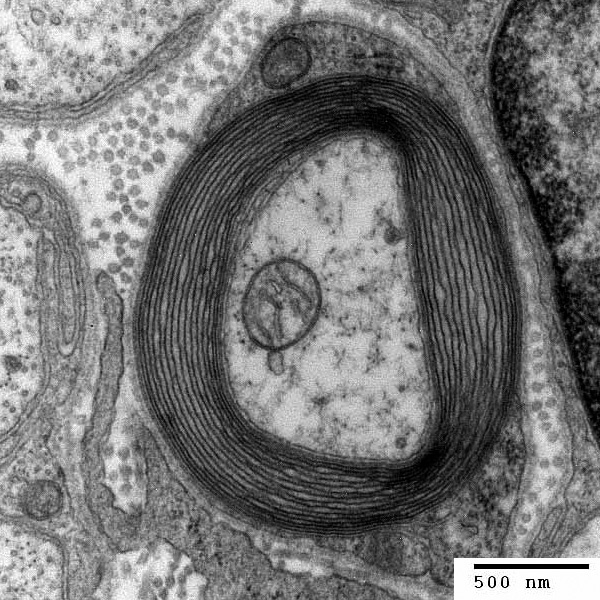 Then, different pieces of myelin proteins are chemically attached to the outside of the cells before the cells are returned to the patient. This treatment acts on the principle that exposing the immune system to a large amount of these myelin proteins will lead to the immune system ignoring myelin proteins throughout the body. This particular technique has been shown to be effective in mouse models of MS. The results from this phase one trial seem to be promising. The majority of patients experienced fewer relapses or progression of their symptoms. While the data is still relatively limited by the small scope of the trial, the study will now progress to phase two where many more patients will be enrolled and the treatment will be compared to a placebo to determine just how effective the treatment can be. As is the case in many trials stemming from animal models, it is still possible that this potential treatment may fail to lessen the effects of MS. Even if that is the case, we may still be able to learn more about the safety of immune tolerization procedures that could be useful in combating other autoimmune diseases. For a disease with no cure and no good treatments, this trial is a huge win. Hopefully, the positive effects will bear out with the increased number of participants. This entry was posted in Follies of the Human Condition, This Mortal Coil and tagged clinical trial, immune tolerance, MS, multiple sclerosis, phase one. Bookmark the permalink.